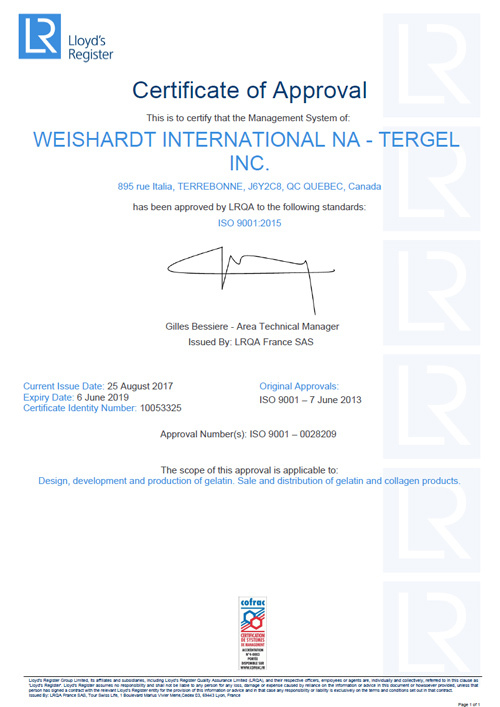  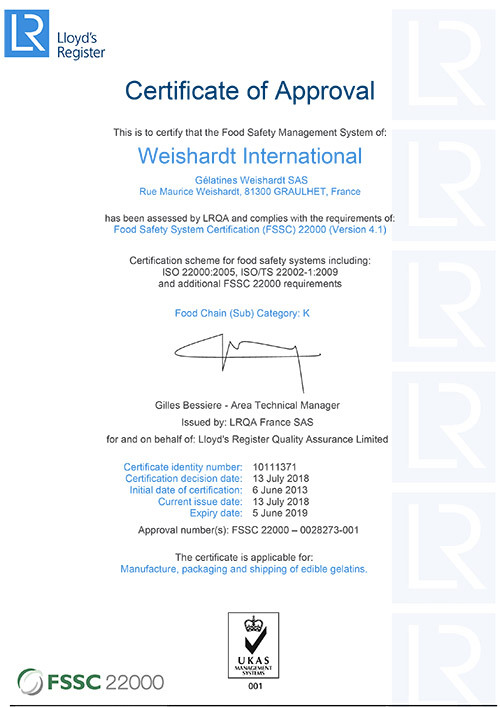 All Weishardt’s production sites are ISO 9001 certified to ensure efficient quality assurance management. 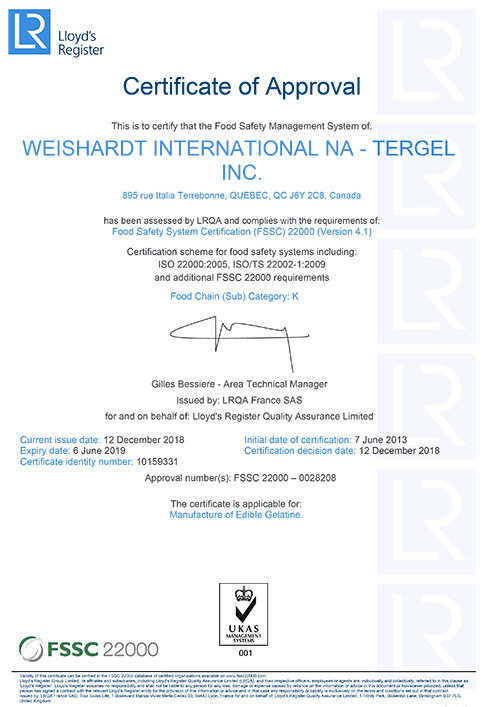 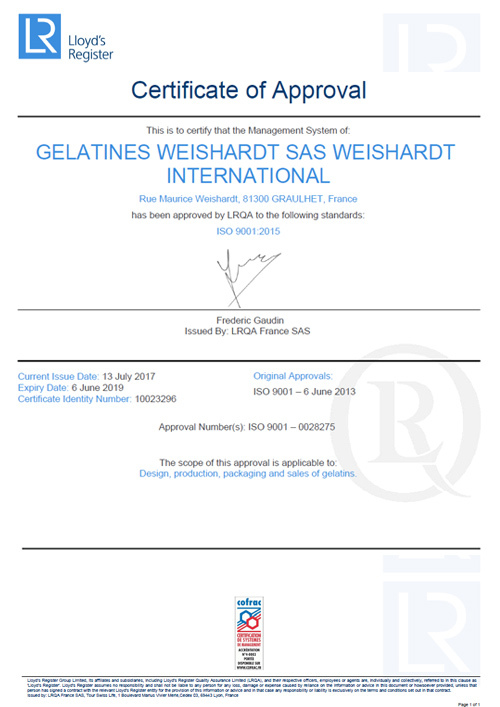 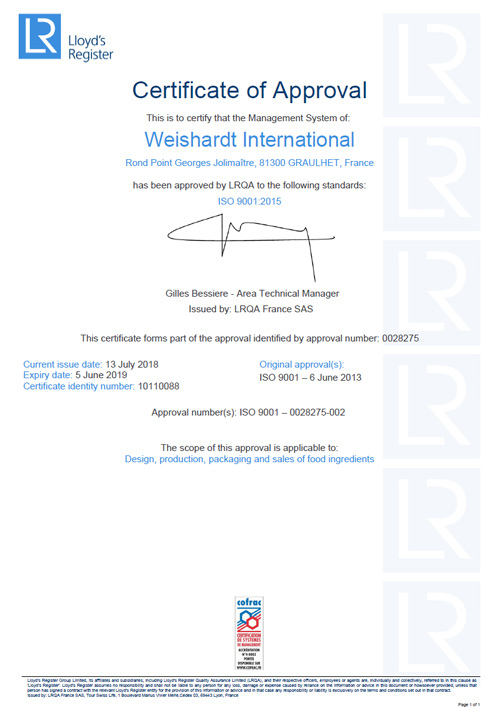 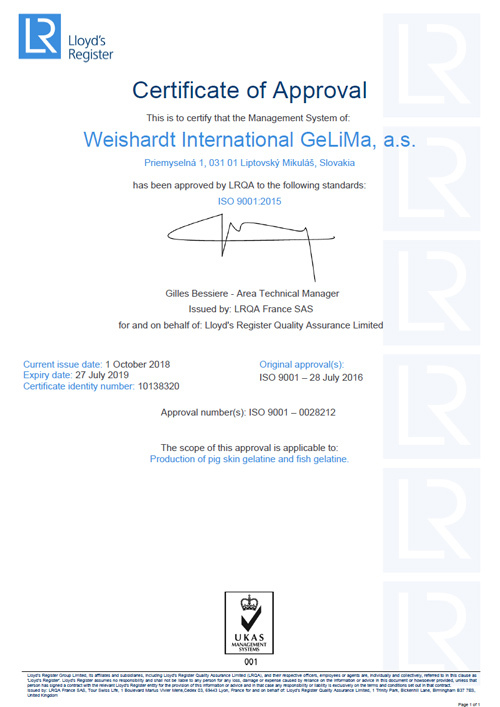 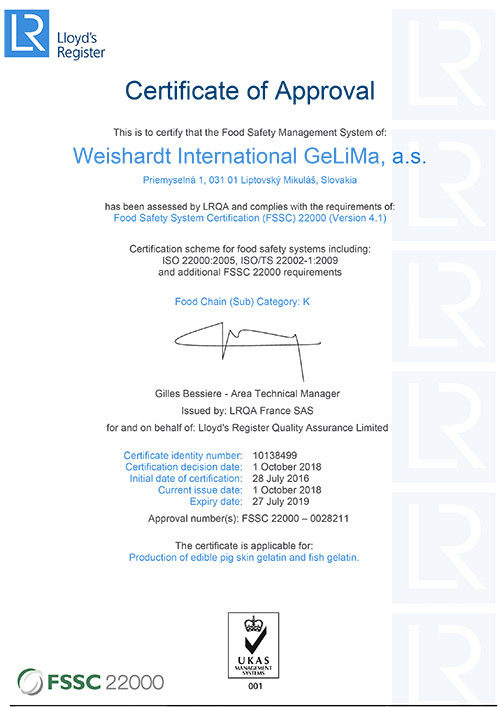 Weishardt’s gelatine factories are FSSC 22000 certified, according to the worldwide recognized standard GSFI (Global Food Safety Initiative), which guarantees a high level of hygiene and food safety. 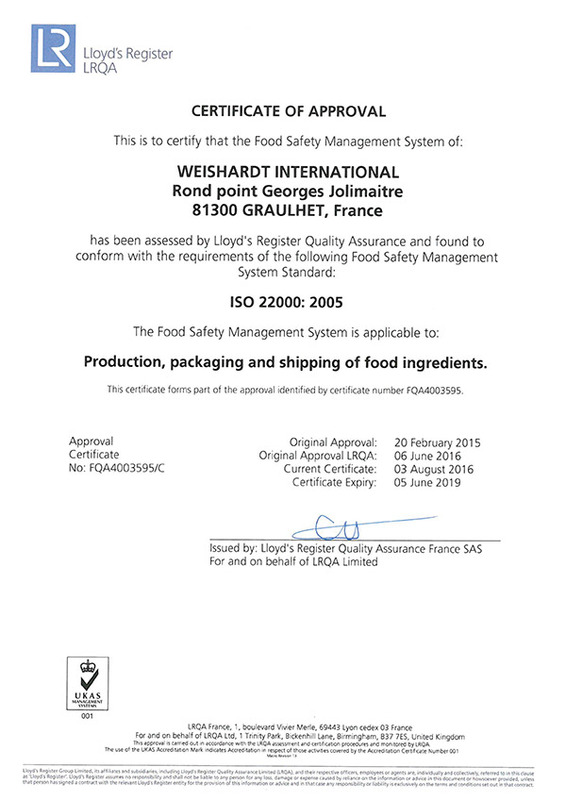 Weishardt’s dry blends factory is ISO 22000 certified, which ensures a strict management and monitoring of food safety. 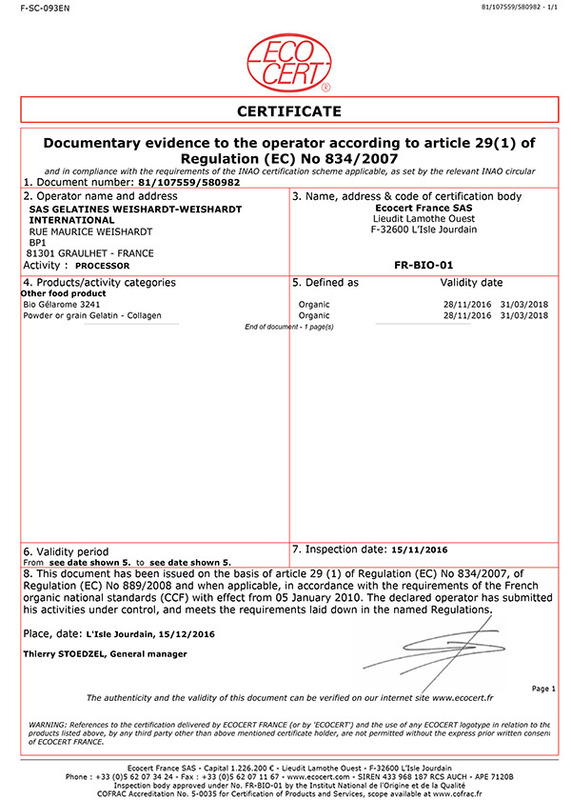 Organic pig skin gelatine is also available, as well as specific organic gelatine blends.